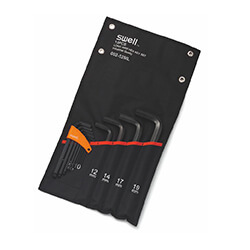 The black bag could be suspended from the wall at work place. 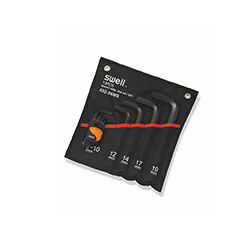 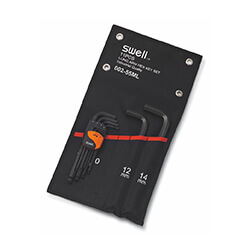 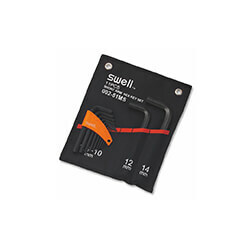 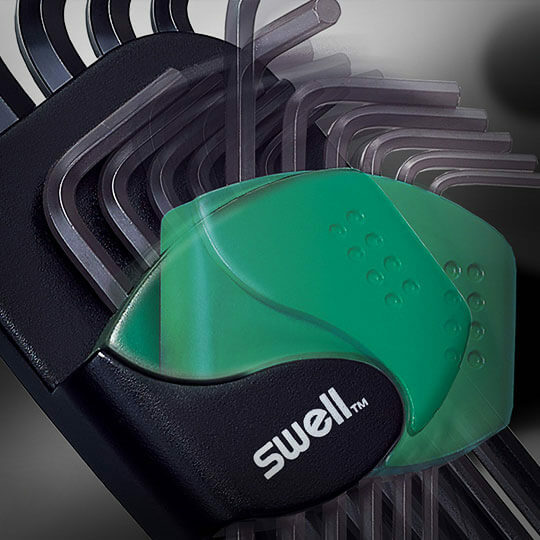 A perfect compact package to keep hex key from small size to large size. 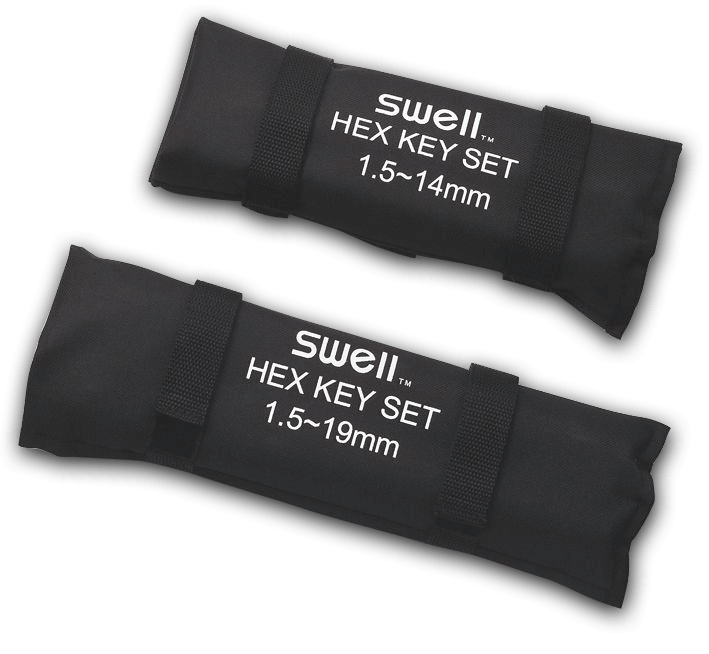 Clear size printed on the insert bag for easy identification.